Black Student Union meets every Wednesday in A153. Beginning in the 2017-2018 school year, Parkdale chartered a Black Student Union (BSU) club, bringing together both African American students and students interested in learning more about and supporting black culture. 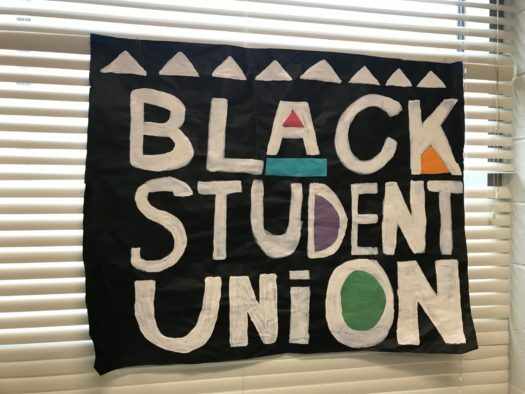 “Our goal is just to get students to be more involved with Black Student Union and to understand black culture and what goes on around the world,” said junior Chima Nwaogbe, a member of BSU. Over the past year, BSU has participated in a number of school events including last year’s and this year’s black history history month by making creative posters that inform students about famous people in the black community. When they aren’t participating in school-wide events, BSU is meeting every Wednesday, where they usually talk about a certain topic. Last week’s topic, for example, was catfishing. Having a safe environment where students are comfortable to express their opinions has been part of BSU’s mission since the beginning. BSU’s across the country have been around since 1968. It first started on the campus of University of Kansas by E. J. Brisker, Eddie Demming and Stokely Carmichael. During the 1960’s, this club was more than just a club. It was more like a social movement trying to get rights for people of color. Having this club was a safe haven, a place where everyone understood each other. For Parkdale BSU students, this original mission still holds true. According to multiple members, everyone has a good time with each other, and no one is left out. Even the sponsor, Ms. Camper is fun and helpful, as well, providing the BSU members with supplies to do activities like posters. “I think it impacted me because it allowed me become more involved with the school and with black culture,” said Nwaogbe.